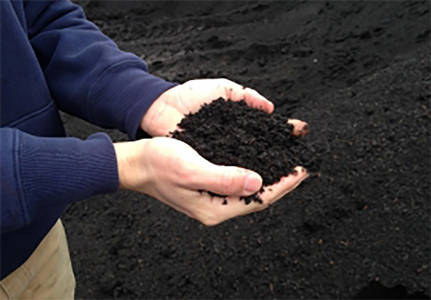 Since 2009, our family has been perfecting our proprietary composting techniques, turning nutritious food and yard residuals into the Blue Ribbon Organic Compost southeastern Wisconsin knows and loves. Recycled and processed at our local DNR-permitted facility, these natural materials become our plant-loving, easy-to-handle mix. With food residuals as a key ingredient in our finished product, we achieve a rich nitrogen blend derived from all natural materials –nothing more, nothing less. After months of turning the compost with care, monitoring windrow temperatures, maintaining moisture, and taking all the necessary steps to create a quality and safe finished product, we are ready to help jump-start your vegetables, fruit trees, and shrubs…top-dress sections of your lawn…or start your hardiest crop of seedlings yet! 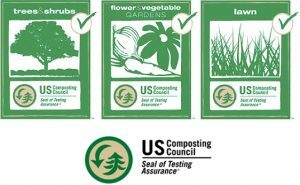 Certified for organic production, vegetable and flower gardening, use around trees and shrubs, and lawn application. Thanks for keeping your food and soil source local –this is our best family recipe yet!